I have the Sunday Card Challenge at Turtle Soup today. My challenge today is to create a Halloween card. Check out the details in the forum. I have the Tuesday Tips, Tools and Techniques Challenge at Turtle Soup today. Be sure to check out Turtle Soup to see the other inspiring challenges that are posted this week by the Design Team. 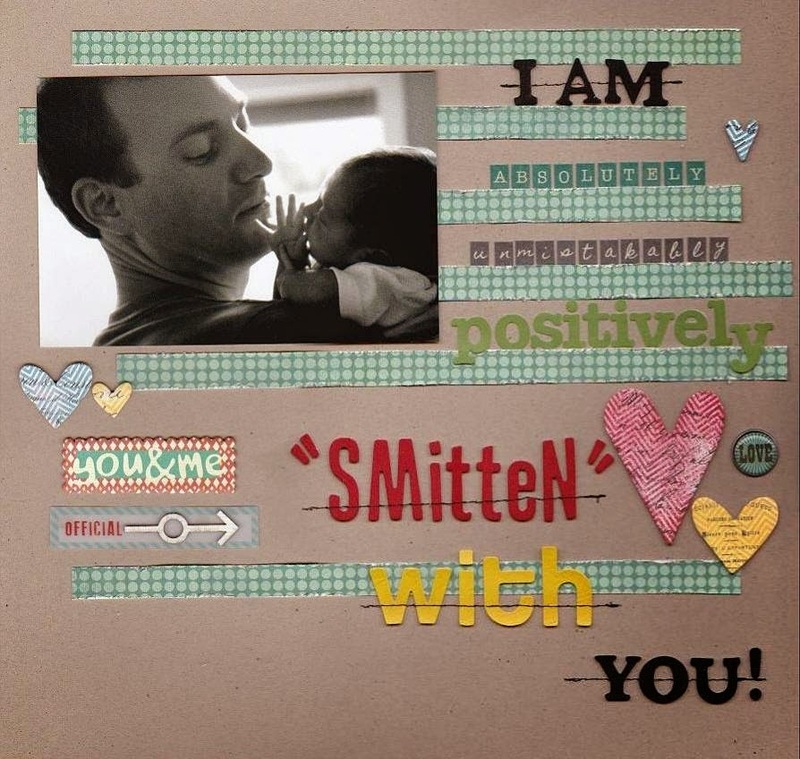 I think every scrapbooker has a stash of letter stickers … I do. I have a wide variety of letter stickers that are plain, colorful, patterned and in all sizes. On this layout I used a different letter sticker style for each word/line. Hello Creative friends, I am super excited and so thrilled to have been nominated as a Creative Blogger by Bev Code (Bee Cee Creativity). Her blog is full of inspiration and creativity that you won’t want to miss! 1. What am I working on? Right now I’m working on a few mixed media projects. Who knew you could have so much fun with canvas, Gesso, Modelling Paste, paint, stencils and inks?! 2. How does my work differ from others of its genre? I love trying new techniques so my work is forever changing. 3. Why do I create what I do? I scrapbook and paper craft for me … it’s fun. It’s a creative outlet and a way to preserve the past for the present and the present for the future. 4. How does my creative process work? I don’t have a set creative process. It’s what inspires me at the moment. finished project as much as it is about the process. To help celebrate WCMD I have an easy challenge for you up at Turtle Soup. All you have to do is make a card with a banner on it. You have until Sunday, October 12th to participate. Check out the details in the Turtle Soup forum. I'll pick one random winner from those that participate to win a RAK from me. I cut out the banner using my Cricut and the Pretty Pennants Cartridge. I cut out the leaves using the Flower Shoppe Cartridge and embossed them with my Cuddlebug. The medallions were made by punching strips of patterned paper with the Kreaxions 4 in 1 punch # 921 with no insert. Punching the edge of the medallions with the Krexions punch added that "something special" to the project and so much detail! To complete the medallions I cut scalloped circles from the Cricut Birthday Bash Cartridge and the letters from the Plantin SchoolBook Cartridge.